On the 15th (Wed), look for all kinds of wild species at Lone Pine Koala Sanctuary, take in nature's colorful creations at Brisbane Botanic Gardens Mt. Coot-tha, and then admire all the interesting features of Suncorp Stadium. Get ready for a full day of sightseeing on the next day: enjoy the sand and surf at Moffat Beach, admire the masterpieces at Gallery of Modern Art, then admire the natural beauty at Roma Street Parkland, and finally take a leisurely stroll along Eagle Street Pier. For traveler tips, other places to visit, reviews, and tourist information, read our Brisbane trip builder . Use the Route module to see travel options from your home to Brisbane. In January, daily temperatures in Brisbane can reach 34°C, while at night they dip to 25°C. 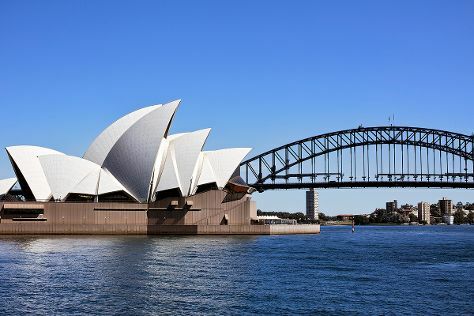 Finish your sightseeing early on the 16th (Thu) so you can travel to Sydney. Kick off your visit on the 17th (Fri): take a stroll through The Rocks, then make a trip to Sydney Opera House, and then take a stroll through Darling Harbour. On the 18th (Sat), you'll have a packed day of sightseeing: kick back and relax at Manly Beach, then admire the natural beauty at Royal Botanic Garden Sydney, and then stroll through Bondi Beach. To see other places to visit, reviews, photos, and tourist information, read our Sydney online holiday planner . Traveling by flight from Brisbane to Sydney takes 4 hours. Alternatively, you can do a combination of bus and flight; or drive. In January, daily temperatures in Sydney can reach 32°C, while at night they dip to 23°C. Finish your sightseeing early on the 18th (Sat) to allow enough time to travel to Wangaratta. Wangaratta is a cathedral city in the northeast of Victoria, Australia, approximately 250km from Melbourne along the Hume Highway. Kick off your visit on the 19th (Sun): sample the fine beverages at Hurdle Creek Still, then learn about winemaking at Gracebrook Vineyards, then indulge your thirst for a good beer at King River Brewing, and finally explore and take pictures at Pumpkin Seeds Australia. Get ready for a full day of sightseeing on the next day: do a tasting at Rutherglen Wine Experience and Visitor Information Centre, learn about winemaking at Andrew Buller Wines, do a tasting at Valhalla Wines, then do a tasting at Pfeiffer Wines, and finally get lost in a book at Wangaratta Library. To find maps, ratings, and more tourist information, refer to the Wangaratta route app . Explore your travel options from Sydney to Wangaratta with the Route module. When traveling from Sydney in January, plan for a bit warmer days and slightly colder nights in Wangaratta: temperatures range from 37°C by day to 16°C at night. Cap off your sightseeing on the 20th (Mon) early enough to travel to Melbourne. Kick off your visit on the 21st (Tue): admire the natural beauty at Royal Botanic Gardens, then stroll through St. Kilda Beach, and then kick back and relax at Half Moon Bay. Get ready for a full day of sightseeing on the 22nd (Wed): meet the residents at Melbourne Zoo and then enjoy unforgettable views with a balloon tour. To see other places to visit, more things to do, traveler tips, and more tourist information, go to the Melbourne online itinerary maker . Traveling by car from Wangaratta to Melbourne takes 3 hours. Expect a bit cooler weather when traveling from Wangaratta in January: highs in Melbourne hover around 32°C, while lows dip to 17°C. Finish your sightseeing early on the 22nd (Wed) to allow enough time to travel to Mole Creek. Mole Creek is a town in the upper Mersey Valley, in the central north of Tasmania, Australia. Kick off your visit on the 23rd (Thu): look for all kinds of wild species at Trowunna Wildlife Sanctuary, then explore the fascinating underground world of Mole Creek Caves, and then delve into the lush surroundings at Westmorland Falls. To see where to stay, traveler tips, other places to visit, and other tourist information, go to the Mole Creek trip planning site . Use the Route module to find suitable travel options from Melbourne to Mole Creek. Traveling from Melbourne in January, things will get little chillier in Mole Creek: highs are around 28°C and lows about 12°C. Finish your sightseeing early on the 23rd (Thu) so you can travel to Launceston. 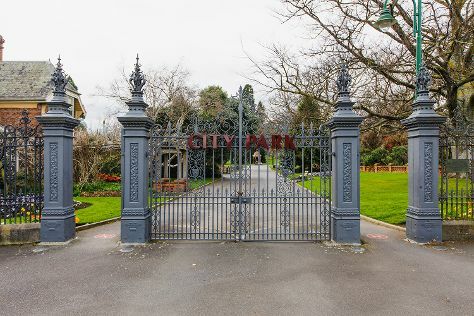 Start off your visit on the 24th (Fri): walk around City Park, take a tour by water with Boat Tours & Water Sports, and then explore the activities along Lake Trevallyn. Here are some ideas for day two: look for all kinds of wild species at Platypus House, identify plant and animal life at Cataract Gorge Reserve, and then appreciate the views at The Tamar Valley. To find ratings, maps, reviews, and tourist information, you can read our Launceston tour app . You can drive from Mole Creek to Launceston in an hour. Expect a daytime high around 28°C in January, and nighttime lows around 12°C. Wrap up your sightseeing on the 25th (Sat) early enough to travel to St Helens. 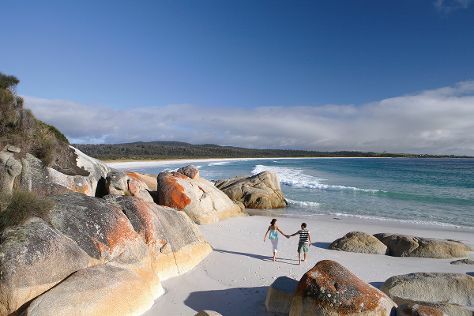 Kick off your visit on the 26th (Sun): take a tour by water with Boat Tours & Water Sports, then kick back and relax at Bay of Fires Conservation Area, and then admire the sheer force of Halls Falls. Discover how to plan a St Helens trip in just a few steps with Inspirock's itinerary builder. You can drive from Launceston to St Helens in 2.5 hours. Expect a daytime high around 28°C in January, and nighttime lows around 12°C. Finish your sightseeing early on the 26th (Sun) so you can travel to Coles Bay. Kick off your visit on the 27th (Mon): take a leisurely stroll along Coles Bay Jetty, get interesting insight from Tours, and then kick back and relax at Wineglass Bay Lookout. Get ready for a full day of sightseeing on the next day: kick back and relax at Spiky Beach Conservation Area, then learn about winemaking at Gala Estate Vineyard, and then get a dose of the wild on a nature and wildlife tour. To find photos, other places to visit, ratings, and more tourist information, use the Coles Bay trip website . Traveling by car from St Helens to Coles Bay takes 1.5 hours. Finish your sightseeing early on the 28th (Tue) to allow enough time to drive to Hobart. 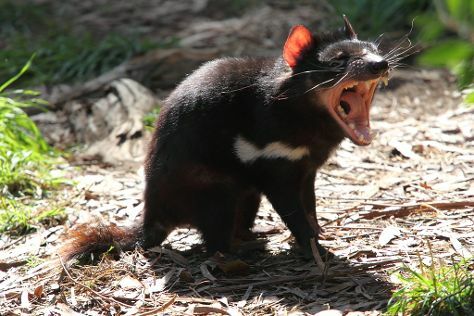 On the 29th (Wed), look for all kinds of wild species at Bonorong Wildlife Sanctuary, admire the natural beauty at Royal Tasmanian Botanical Gardens, enjoy the sand and surf at Nutgrove Beach, then stroll through Opossum Bay Beach, and finally enjoy the sand and surf at Kingston Beach. On the 30th (Thu), you'll have a packed day of sightseeing: let your taste buds guide you at a local gastronomic tour. For other places to visit, more things to do, ratings, and other tourist information, read Hobart trip itinerary planner . Traveling by car from Coles Bay to Hobart takes 2.5 hours. Alternatively, you can do a combination of taxi and bus. In January, daytime highs in Hobart are 26°C, while nighttime lows are 14°C. Cap off your sightseeing on the 30th (Thu) early enough to travel to Mount Field National Park. Kick off your visit on the 31st (Fri): contemplate the waterfront views at Lake Dobson, then take a peaceful walk through Franklin River Nature Trail, and then take in the dramatic scenery at Russell Falls. On the 1st (Sat), you'll have a packed day of sightseeing: take in the dramatic scenery at Lady Barron Falls, then look for all kinds of wild species at Tall Trees Walk, and then take in the dramatic scenery at Horseshoe Falls. To see traveler tips, other places to visit, and tourist information, go to the Mount Field National Park day trip planning website . Traveling by car from Hobart to Mount Field National Park takes 1.5 hours. Expect a daytime high around 26°C in January, and nighttime lows around 14°C. Wrap up your sightseeing on the 1st (Sat) early enough to travel to Adelaide. 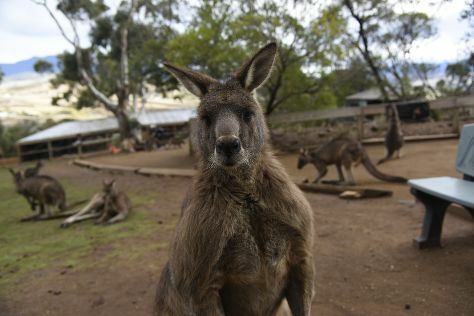 Kick off your visit on the 2nd (Sun): identify plant and animal life at Cleland Wildlife Park, then learn about wildlife with up-close encounters at Adelaide Zoo, and then enjoy the sand and surf at Semaphore Beach. Here are some ideas for day two: kick back and relax at Aldinga Beach, kick back and relax at Maslin Beach, and then do a tasting at McLaren Vale III Associates. Plan a trip to Adelaide easily and quickly by telling Inspirock to suggest an itinerary. The Route module can help you plan travel from Mount Field National Park to Adelaide. 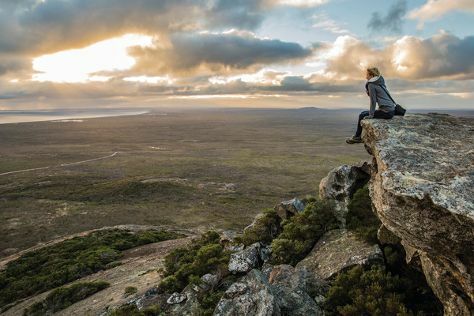 Traveling from Mount Field National Park in February, expect Adelaide to be a bit warmer, temps between 32°C and 19°C. Finish your sightseeing early on the 3rd (Mon) to allow enough time to travel to Ningaloo. Kick off your visit on the 4th (Tue): look for all kinds of wild species at Ningaloo Reef. On the 5th (Wed), you'll have a packed day of sightseeing: look for all kinds of wild species at Ningaloo Marine Park and then discover the deep blue sea with a scuba or snorkeling tour. For ratings, maps, more things to do, and tourist information, you can read our Ningaloo trip itinerary planning site . The Route module can help you plan travel from Adelaide to Ningaloo. The time zone difference when traveling from Adelaide to Ningaloo is minus 1 hour. In February, Ningaloo is a bit warmer than Adelaide - with highs of 44°C and lows of 28°C. Wrap up your sightseeing on the 5th (Wed) early enough to travel to Perth. Kick off your visit on the 6th (Thu): enjoy the sand and surf at Scarborough Beach, then look for all kinds of wild species at Caversham Wildlife Park, and then take a memorable drive along Zig Zag Scenic Drive. 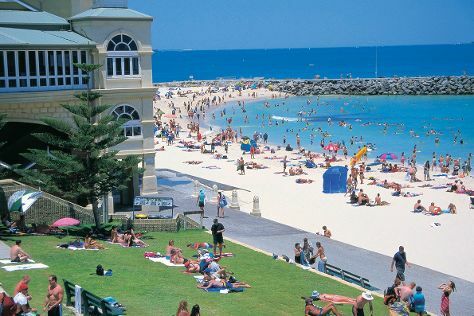 On your second day here, kick back and relax at Cottesloe Beach, then appreciate the history behind Kings Park War Memorial, and then explore the activities along Swan River. To find photos, traveler tips, and more tourist information, refer to the Perth trip itinerary builder website . The Route module can help you plan travel from Ningaloo to Perth. Traveling from Ningaloo in February, expect Perth to be a bit cooler, temps between 38°C and 20°C. Wrap up your sightseeing on the 7th (Fri) early enough to travel to Esperance. Esperance is a town in the Goldfields-Esperance region of Western Australia, on the Southern Ocean coastline approximately 720km east-southeast of the state capital, Perth. Eschew the tourist crowds and head to Thistle Cove and Lucky Bay. Your itinerary includes some good beach time at Cape Le Grand National Park and Blue Haven Beach. It doesn't end there: enjoy the sand and surf at Ten Mile Lagoon and stroll through Salmon Beach. For maps, where to stay, photos, and tourist information, read Esperance day trip tool . You can fly from Perth to Esperance in 4 hours. Other options are to drive; or take a bus. Traveling from Perth in February, expect nights in Esperance to be about the same, around 17°C, while days are a bit cooler, around 32°C. Wrap up your sightseeing on the 10th (Mon) to allow time to travel to Uluru-Kata Tjuta National Park. Kick off your visit on the 11th (Tue): admire the verdant scenery at Valley of the Winds, then take in the awesome beauty at Kata Tjuta, and then get engrossed in the history at Uluru-Kata Tjuta Cultural Centre. On the next day, get outside with Walpa Gorge, then hike along Kuniya Walk, and then admire all the interesting features of Uluru. To see maps, traveler tips, ratings, and more tourist information, go to the Uluru-Kata Tjuta National Park journey maker tool . Traveling by flight from Esperance to Uluru-Kata Tjuta National Park takes 8.5 hours. Alternatively, you can do a combination of bus and flight; or drive. The time zone difference moving from Australian Western Standard Time to Australian Central Standard Time (Northern Territory) is 1 hour. Traveling from Esperance in February, things will get a bit warmer in Uluru-Kata Tjuta National Park: highs are around 43°C and lows about 25°C. Wrap up your sightseeing on the 12th (Wed) early enough to travel to Cairns. Visit Palm Cove Beach and Trinity Beach for some beach relaxation. Visiting Nature & Wildlife Tours and Scuba & Snorkeling will get you outdoors. There's still lots to do: take in nature's colorful creations at Botanical Gardens. To see where to stay, maps, ratings, and tourist information, read Cairns online tour itinerary planner . Fly from Uluru-Kata Tjuta National Park to Cairns in 5 hours. Alternatively, you can drive. Expect slightly colder weather when traveling from Uluru-Kata Tjuta National Park in February: highs in Cairns hover around 36°C, while lows dip to 28°C. Finish your sightseeing early on the 15th (Sat) to allow enough time to travel back home.